Are the growing oppositions to neoliberal market globalism (especially in the aftermath of global economic meltdown) able to develop meaningful alternative ideologies? Is there any substantial alternative to the world capitalist system on the horizon? How would the ideologies and ideas address the dire dilemmas of economy vs. ecology, redistribution vs. recognition, global vs. local, reform vs. revolution etc.? This book answers such important questions by examining the intellectual structure of the so-called ‘anti-globalization’ or ‘global justice’ movement. 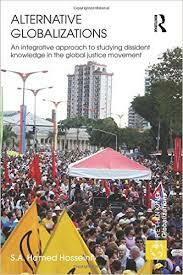 It explores the formation and transformation of ideas, identities, and solidarities in the movement. The book also develops an analytical model to explain the movement’s ideational novelties and continuities in terms of both activist social experiences and global social changes.